Christian Robbins is a junior who attended Le Jardin Academy in Kailua. His personal passion is protecting and preserving our oceans through environmental activism. As a kitesurfer, freediver, and surfer, he spends most of my free time in the ocean and was inspired to fight plastic pollution by his middle school marine biology teacher, who is one reason he believes strongly in environmental education. Christian’s most recent project was organizing a Chasing Coral film screening in March 2018 with over 300 adults and youth in attendance to raise awareness of the impact of climate change on coral reefs. The event featured an expert panel of environmentalists. Christian’s goal is to be part of making sustainability part of the social culture. 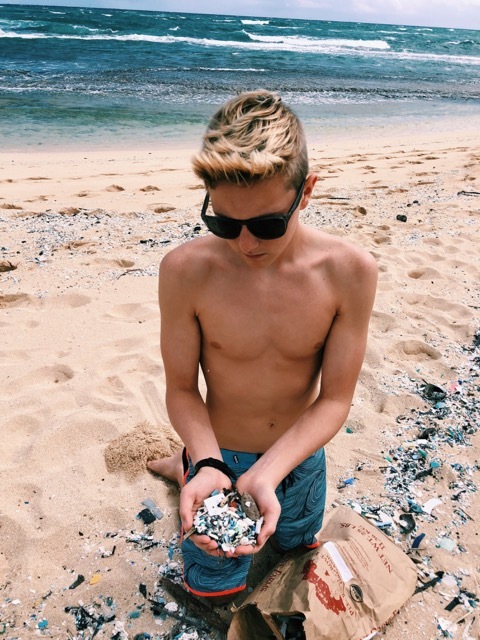 He is currently involved with Wild Kids and volunteers with the Plastic Free Hawaiʻi program.